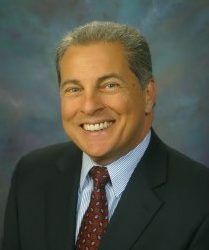 Steve Rosco has been a REALTOR® for over 30 years and is board certified by the National Association of REALTORS® as a Certified Residential Specialist (CRS), a designation earned by fewer than 4% of all REALTORS® and is also certified as a Seniors Real Estate Specialist (SRES), a designation specializing in the needs of seniors. In addition, Steve has been elected by his peers to serve 3 times as the local Board of REALTORS® president, recently awarded the Director for Life Award from the California Association of REALTORS® and served as Chair of two prestigious committees for the National Association of REALTORS® (the Professional Standards Committee and the Interpretations and Procedures Subcommittee). Steve Rosco has a Master Degree in Business Administration (MBA) and spent a year studying abroad at the National Chengchi University in Taiwan. Part of that experience included living with a local family and studying the Chinese culture and language. Steve Rosco’s education, training, competence, professional qualifications and ethical conduct have made him the REALTOR® you want representing you in your transaction. 19 years ago we were given your name…and my husband and I found a wonderful home. We were impressed with your expertise of the real estate process, your integrity and your willingness to give us your time, concern and friendship. This year, it became important to consider downsizing and I knew that you would be the only Realtor I would want to guide me through the process. Thank you Steve for taking me through the process of buying and selling two properties so carefully and thoroughly with such great result. I value your professional help and friendship! Many, many thanks for all the help and personal concern you provided my Mom during the time her home was on the real estate market. Your personal cooperation and understanding, regarding my Mother’s age and safety needs, gave me a sense of security. Your willingness to respect our request demonstrates exactly why I would recommend your services to anyone wishing to place their home on the real estate market. And, Steve, as always, you were right there to offer your help. Again, thanks for everything and feel free to stay in touch with Mom and me. I had recently retired as a Rear Admiral from the Navy’s Judge Advocate General’s Corp and had moved to San Diego from Washington D.C. to take a position with the state attorney general’s office. I have sold many houses and dealt with many real estate professionals over the years. This is the only letter of recommendation I have ever written for a Realtor. Steve Rosco was exactly the right Realtor I needed. His advice and marketing techniques were on target. I could go on–but suffice it to say it was a genuine pleasure to work with Steve Rosco. He is one of the good guys. I depended on him–and he came through for me like gangbusters. I’m sure you will have the same experience that I did! From the very beginning your warmth and expertise were apparent and made us confident that we would find a house. Your guidance through the home buying process was absolutely excellent! We want to thank you for all you have done to make the buying of our new home an exciting adventure! Not only would we highly recommend you to friends and family, but we also count you as a friend. Please accept this letter in appreciation of the outstanding service you provided in the purchase of my home. Having been involved in the real estate industry for many years as the Executive Vice President of the Greater North Orange County Association of Realtors, I have access to the finest real estate professionals in the area. I am even more convinced now having worked through my transaction that I selected the most competent and ethical REALTOR in the marketplace. I highly recommend you to anyone who wants the best! I was fortunate to have met and have had the opportunity to work with Steve Rosco. He is a warm, friendly person who is able to communicate his vast knowledge in the buying and selling of real estate. Steve provided me with market information and selling tips that helped me decide where to price my property. He spent time evaluating and recommending improvements that would help me sell my property. Steve handled the negotiations and business dealings. Steve was always available to answer questions and he was very thorough in his work for me. I am looking forward to working with Steve Rosco on my future real estate ventures. Just a quick note to say thank you again for the terrific job you did in selling our property! Truly, we cannot thank you enough for the splendid job and all of the hard work you put into it. Passion is the only word that comes to mind. Thank you! Just a short note to thank you again, one more time, for the truly superior way you handled the sale of my property in Bellflower. As you know I struggled with another real estate agent for six months with literally no activity. I fired him, hired you and bingo, three weeks later I had a good offer that eventually led to a sale. You are a true professional Steve. Your attention to detail and strategy were impressive and served to instill a degree of confidence in your ability on my part, that was absent in my dealings with other agents. I wish you the best and even though we conferred long distance, I feel I made a friend. Stay well. Dear Paul, I contacted your firm and asked if you would handle the sale of my secretary and dear friend of mine for over 32 years, Bea. You wisely assigned Steve Rosco to list Bea's property. I just want to tell you how impressed I am with Steve's handling of her listing. Quickly finding a buyer for the property was terrific, but the additional personal service he provided, and the personal counseling to Bea was invaluable. Steve performed with the utmost integrity and treated Bea with the utmost consideration in all areas. It has meant a lot to Bea; she is very grateful and so am I. Steve is truly a credit to your organization. You are fortunate to have such a fine person associated with your firm. Again Paul, I want to thank you for your help and for providing such a high caliber individual to handle the sale for Bea. I placed my home on the market with Steve Rosco and within the first week, I received an offer agreeing to my asking price and completed the sale within 3 weeks. Steve Rosco more than exceeded my expectations and I know that the sale of my home would not have been as successful or as easy without Steve's efforts. I would gladly recommend him to anyone seeking similar service. This letter is to let you know of the outstanding job Steve Rosco did as my Realtor. I chose Steve because he represented the Sellers when I bought the house ten years ago. I was impressed with him then and even more now! Steve helped me the whole way through my selling process. He made sure all the paperwork was handled as well as my struggles with the sale of my house. Steve is a caring gentle soul and I felt completely well taken care of. I would recommend him to anyone of my friends. Thank you Steve Rosco for all of your help through my difficult time and closing that chapter. I am writing regarding Steve Rosco who represented my Grandmother in the sale of her home. I was very impressed with Steve Rosco. He came very prepared when he listed her home. He was knowledgeable and was able to answer any questions asked. My Grandmother is a elderly woman who recently lost her husband and needed special care and comfort in selling her home. Steve did a wonderful in taking care of her. In the future I will not hesitate to refer him to an family or friends. He did a terrific job! Anna and I want to express our appreciation to you for the highly professional and ethical manner in which you handled the sale of our property in Fullerton. All aspects of our total transaction, from beginning to end, were a smooth and enjoyable experience. Your attention to detail was a pleasure for us to witness and without a doubt, was beneficial to both us and the buyer of our property. If all Realtors were a competent and ethical as you are, the real estate industry would truly be a remarkable profession.